I'm not sure why it is, but Memorial Day kind of catches me by surprise every year. Obviously I always *know* it's coming in some kind of vague end-of-May-ish kind of way, but it still always feels like a treat. After just a few weeks of spring...and roughly 37 months of brutal winter (give or take), the idea that summer is (un)officially starting is basically too exciting for my brain to believe. You guys, let me just reiterate this: it's practically summer! I come alive during this season. Gorgeous weather, sunny days, and endless excuses to get together and celebrate with my favorite people. And Memorial Day? It's the start of all that fun. 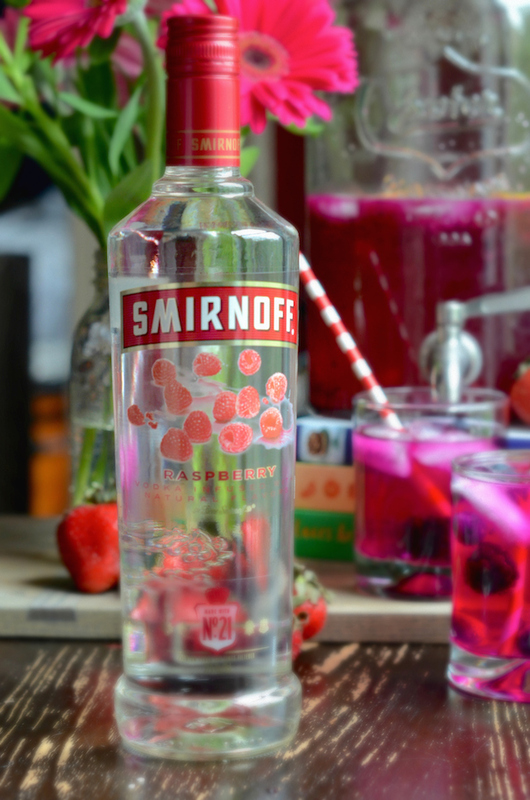 I've once again teamed up with Smirnoff to inspire you with recipes and ideas for the upcoming summer party season. And this year? It is ALL ABOUT the punch recipes. I've been kind of obsessed with punch for a while now, and think that you should be, too. 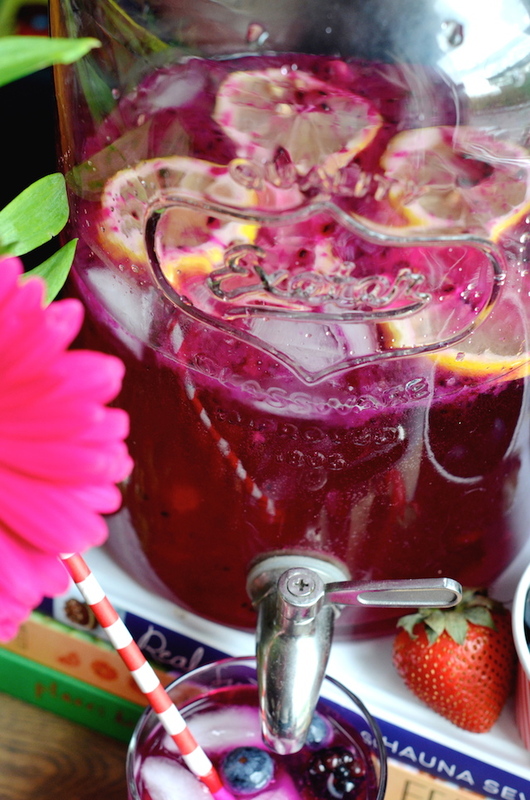 It is the ultimate summer party beverage. Partially because it gives me an excuse to pull out my vintage punch bowls and beverage dispensers (no shame...I love my props! ), but even more so because it takes a lot of pressure off the host (aka...me). There is nothing better than putting out a gorgeous punch, and letting guests help themselves. It gives them something to do as they arrive, and leaves you to finish up those last-minute party tasks. 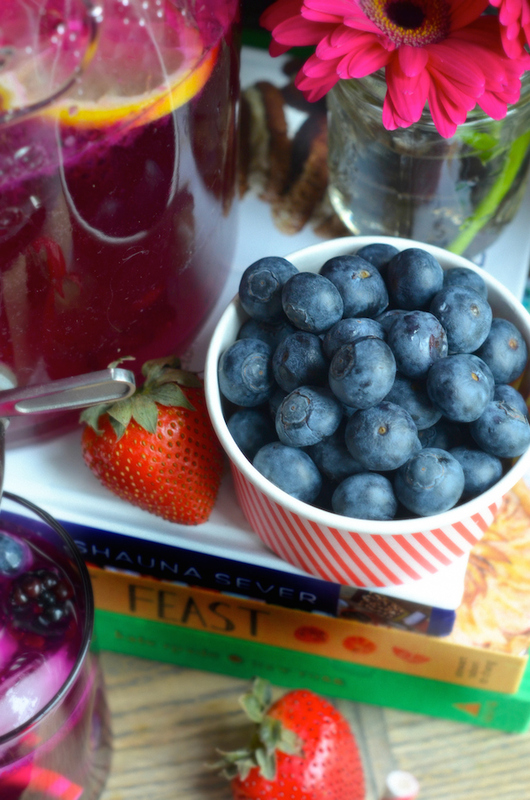 First up, this bright and gorgeous Mixed Berry Vodka Party Punch, which gets that gorgeous color from real pureed berries, and an added boost of flavor from Smirnoff Raspberry. Some fresh lemon juice, a bit of sugar, and fizzy lemon-lime seltzer round out the super simple ingredients. It's tart and refreshing, and absolutely perfect for all those warm weather celebrations. 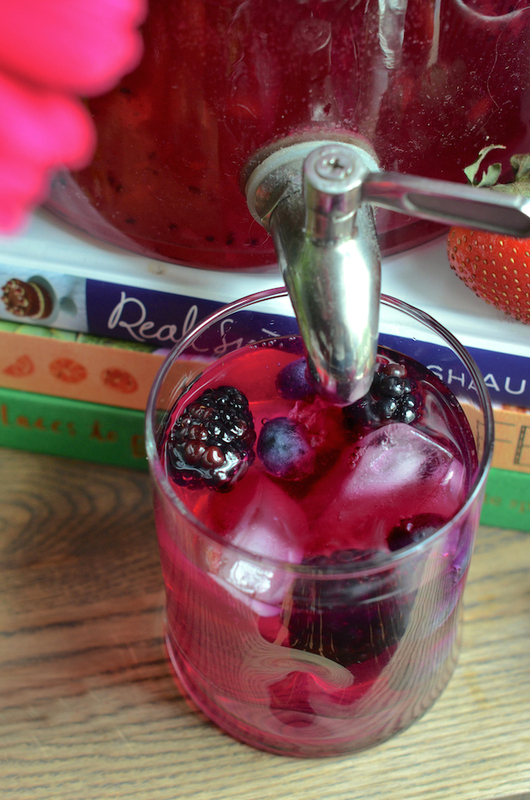 Garnished with fresh berries, it's an elegant, but super easy signature drink that will please a crowd. 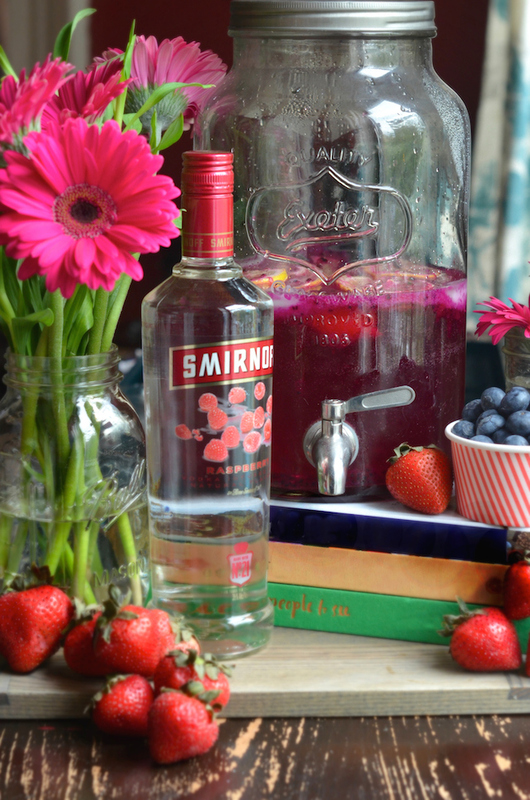 Follow Smirnoff on Instagram and Facebook, or hop on over to their Pinterest page for more recipes and summer party inspiration! Combine the partially thawed berries, lemon juice, and superfine sugar in a food processor or blender, and puree until very smooth. Pass through a fine sieve to remove the majority of seeds, then pour into punch bowl or beverage dispenser. Stir in the vodka and chill at least two hours. Just before serving, pour in the seltzer and add the lemon slices. Serve chilled with fresh berries on the side for garnish. This post was written by me as part of an ongoing sponsored collaboration with Smirnoff and IZEA. All opinions and recipes are, of course, 100% my own. Please remember to always drink responsibly!